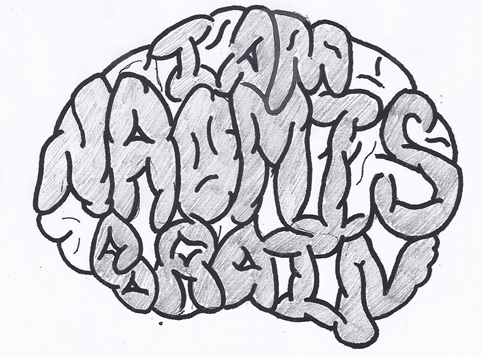 As many of you know my girlfriend, Naomi, has a brain tumor, more specifically, an Oligodendroglioma. She was recently approached by the ABTA to see if she would like to join their Breakthrough for Brain Tumors Los Angeles 5k event planning committee. After recently accompanying her to their kick-off event I found myself wanting to do more for the organization. Not just for the hope that their programs that support those with tumors, their caregivers, or their medical teams, but to support those in the future who may be diagnosed and don’t have support structures like Naomi and myself have had through all of this. Because of this, I have decided to start a team for the upcoming 5k Run/Walk at the Arcadia Arboretum on June 22. The team name is iamnaomisbrain, named after Naomi’s blog (iamnaomisbrain.com). Many of us have had close relationships with people who have or had brain tumors. Growing up, my best friend’s father, John, passed away after living with a brain tumor for over 10 years. And there are over 700,000 other people in this country who also have brain tumors. The ABTA is a resource to provide those who need direction in their care, direction in what to do for their loved one, and direction for treating those with brain tumors. If you quickly browse their website ABTA.org you will be exposed to the scope of their mission. They are not simply a money raising machine for researchers in a lab; they also provide direct services to those who need it most. I am participating and fundraising to maintain and strengthen the critical resources that make such a profound difference in the lives of brain tumor patients and their families, like Naomi and myself. I also want to use this post as a call to action for those in the Los Angeles area who may want to join my friends and me on June 22 to represent those we love. You can also support us in our efforts by making a donation to the American Brain Tumor Association on my personal donations page! You can also join my team from this page!